Soldiers Beach located just south of the Norah Head Lighthouse, is one of the few Central Coast beaches totally untouched by urban development and it is quite popular for locals and visitors. During a typical east coast sunrise, the scenery is ignited and the grasses and sand glow in the golden light. This image belongs to the travel and nature stock photo library. This stock photo of Golden Sunrise at Norah Head is available for licensing for commercial and editorial uses including websites, blogs, books, magazines, brochures and advertising. Restrictions may apply for images which contain third party copyrighted material or sensitive subjects. Photos of artwork are for editorial use only. 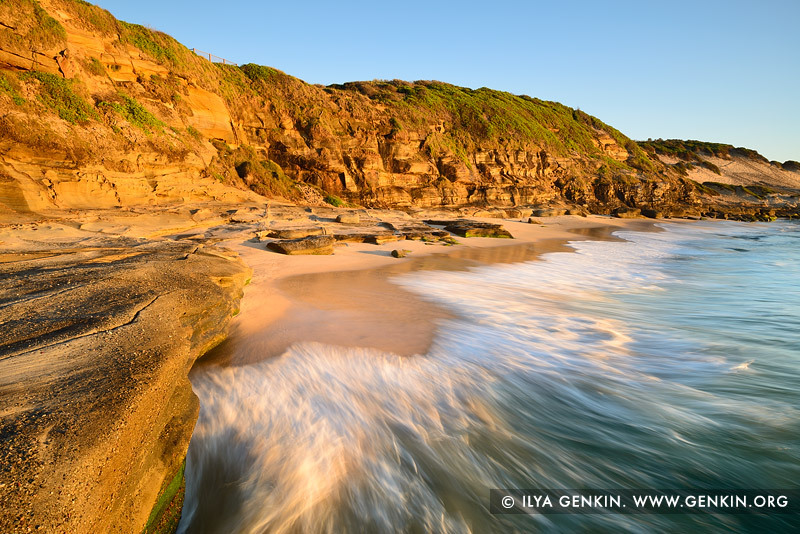 This image id NORAH-HEAD-0005 of Golden Sunrise at Norah Head, is copyrighted © by Ilya Genkin. This is not a public domain image.